Want the attention of your distracted employees? The definitive strategy guide for breaking through the clutter and getting distracted audiences to pay attention. Revised and updated. Two great ways to ORDER NOW! 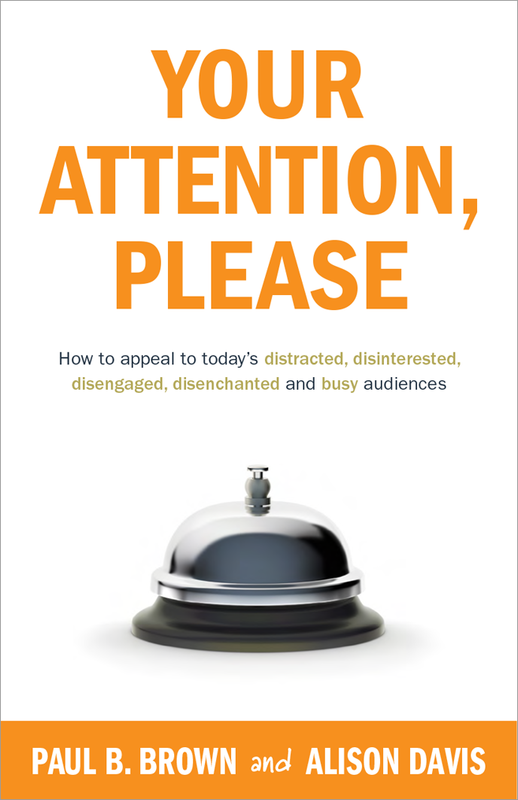 How can you get the attention of distracted and busy audiences? People today are so overloaded with information that they're almost impossible to reach. What's needed is a radical approach for getting your audience to pay attention to what you're communicating. This breakthrough book by Alison Davis and Paul B. Brown shows you how to make bold changes in the way you communicate that cut through the clutter and get your message across. Your Attention, Please. is the new strategy guide for communicating to the reluctant audience member. This e-book is delivered in ePub and MOBI formats.